The next big topic for today is my new lip balm named Just A Kiss by Hpospatreatments I just have to gently slide this balm on my lips and it melts right into my lips. My lips feel hydrated and nourished and they don't look greasy just like the web site states. 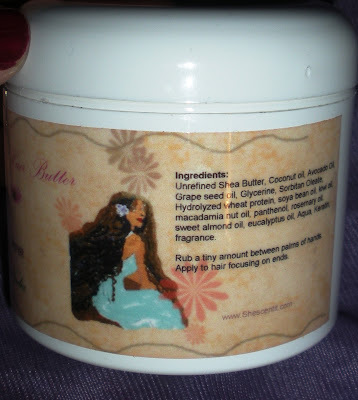 Check out the ingredients -shea butter, honey, virgin coconut oil and avocado oil. I'm not even done yet because this $5.00 balm also has spf which we spoke about earlier this summer. 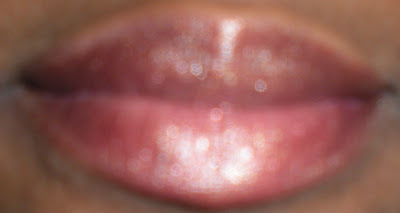 I love knowing that my lips are protected as they glisten. I will be reviewing more products from this natural company very soon. In the comment section yesterday Brownee mentioned that she is looking for a good protein treatment other than Aveda/Fekkai. I do like the MOP protein treatment but I have since moved on the the fortifying hair mask by Shescentit (smells good) as well as the Moisture Protein conditioner from Hairveda.com. I have heard great things about Methi Sativa Protein Tea (also from Hairveda) and I do own it but I have yet to use it. As described on the hairveda site "Methi Sativa, is a unique blend of infused herbs, botanics and wheat protein, was made to restore lost protein to your hair and strengthen it over time. " Another big one on the market is the Aphogee 2 minute Keratin reconstructor. I used this product once and I thought it was ok but I plan on trying it again which is why I didn't post on it yet. Everyone please weigh in and list your favorite protein treatments. I have always been the type of woman who likes to find solutions to problems, so I was not about to allow Givenchy to pull one over on me. Last week I did a post on that fabulous new Givenchy mascara with the ball shaped wand. I mentioned in the post that for the future I would merely clean my Givenchy wand and use it with cheaper mascaras that I like. After posting the video I thought to myself will that wand fit into other tubes? Justme also had the same question so I had to investigate this issue. I had my mind set on using the Givenchy wand with the Colossal mascara by Mabeline and since the tube is chubby I thought it would fit, but the Givenchy wand was denied access. I wanted to give it one more try, so I shoved that Givenchy wand into the Colossal tube and when I attempted to pull the wand out, it was a no go so I had to pull harder check out the video to see what emurged. This is a really short video about my hair. Last night I washed my hair with the Green Apple and Ginger cleanser and conditioner from My Honey Child. The product is designed not only to clean your hair but to soften and hydrate it. 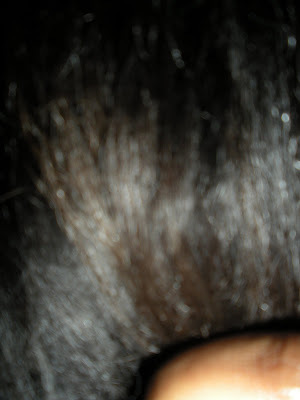 As I was air drying my hair I noticed how super shiny it was so I made this video to show the shine..lol. I hope you can see it. My hair smells like green apples today. If my very late post is not an indication of the type of day I am having, I don't know what is...anywho on to lighter issues. This is another edition of "battle it out" where I make products battle it out for my money. Today I am reviewing two products both from http://www.myhoneychild.com/ What I did not mention in the video is that both products are paraben free and natural. As you know by now, I love to try out new products, I guess is it just my personal quest to find the ultimate product. So I was thrilled to try the CoCasta Shikakai Herbal Hair Oil by Hairveda. This is an oil that is supposed to make your hair stronger, softer and shinier, so I was willing to give it a try. This product can also be used as a body oil. I have to tell you when I pulled out that oily goodness I was sold. I have been mainly using it as a body oil. I am literally smoothed out all day (except for my hands which I wash 100 times a day lol) My hands are smooth but I am always reapplying lotion and the cocasta is too big to lug around in my purse but my legs are shiny all day long. The scent is like that of fresh cherry Now and Later candies...yummm. The scent is certainly not long lasting so I enjoy it while it lasts. I did put it on my hair and here are the results (before is to the left and after is on the right). As you can see it is shinier after so that is good, but what oil wouldn't make it shinier? I must say that I do like that it is not heavy on my hair and you only need a little. Hours later your hair will still be shining, not as much as when you first applied it but the shine will still be there- at least for me. If you go to the website to make a purchase, you may not be able to because they often close down shop to fill the hundreds of orders that come in. Yes, this is a natural company making homemade products and I love it!!!! The ingredients include "Ingredients: Ricinus Communis Seed Oil, Prunus Amygdalus Dulsis, Acacia Concinna Oil, Bacopa Monniera Oil, Emblica Officianalis Fruit Oil, Azadirachta Indica Seed Oil, Fragrance." Anyway I like this product and I will get it again but I will probably use it more for my body. For $11.00 you can get the 8oz bottle but $20.00 will get you the 16 oz. Have you tried anything from hairveda.com? I have been disappointed with Sally Hansen products in the past. For example, the 10 day nail enamel which really lasts about 3 days if that. On the other hand, I have also enjoyed some Sally products but I was hesitant to buy the $6.99 Mega Shine top coat polish which promises to make your nails shine. The added bonus is that this top coat should make your manicure last longer without any chip or peeling. I eventually made the purchase and my skepticism was swept under the rug when I saw that my nail polish remained in tact and shiny for longer than it usually lasts. In fact when I hit day 5 the manicure was still in great condition but I accidentally scraped some off with my cheese grater while making ravioli (from scratch I might add lol) so I had to redo my nails. I would buy this product again and again. If you buy this polish check the box for an instant $1 off coupon. How long does your manicure last? Have you tried Diamond Shine by Sally Hansen? It is supposed to be superior to mega shine but I heard it doesn’t work as well. Please weigh in and discuss. 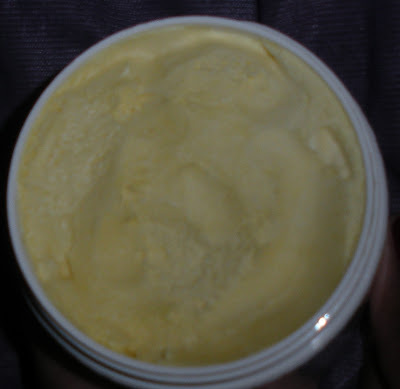 A few days ago a reader named Lauren helped me to remember that I never posted on the shescentit hair butter. 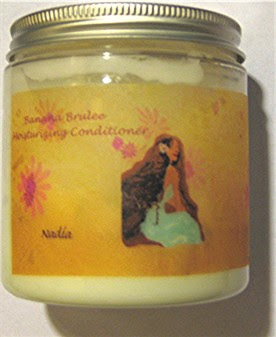 I purchased the $9.00 Nadia for Seyane Hair butter which is basically whipped shea butter with a host of oils. This product is so light that I was able to balance it on my pinky (at least I attempted to balance it on my pinky). It comes in a variety of scents ranging from pink lemonade to mango coconut. The yellow hair butters are supposed to moisturize your hair and I would have to say that it does just that. I would only suggest that this product be used in moderation because it can become greasy if you apply too much to your hair. Now that we are moving into the Fall are you changing your hair regimen? 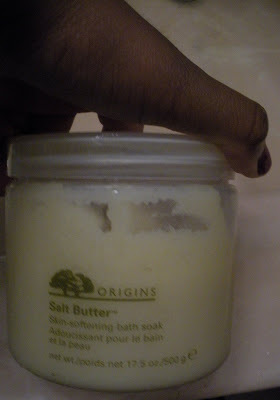 Sometimes you just want to unwind and relax in a nice bath tub instead of taking a shower, so for such instances I decided to purchase the Salt Butter Bath Soak by Origins. Like many of the Origins products the ingredients look great, sea salt, castor oil, coconut oil, sweet orange oil and the list goes on and on. It does not include syntheitc colors, parabens, mineral oil, paraffins and other product no no's. However this product, in my humble opinion does not work to well. You are instructed to put the salts under the running water and the product will soften your skin as you soak in the tub. When I put the salts under the running water it did melt right into the water and you could even see a little milky color appear but that was about it. Maybe the grains melted too quickly to be effective. 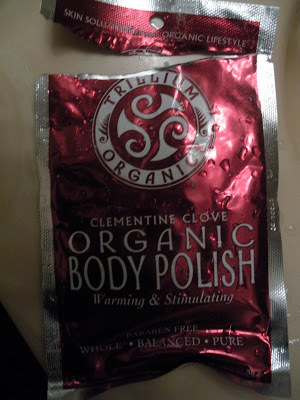 I scooped out more and dumped it in the bath tub because I was trying my best to make this $30.00 product work. Ummm nope, nothing, nada this just didn't make my skin any softer or silky. I will not make this purchase again so into the SKIP IT files it goes. Do you have any products that help you to unwind? 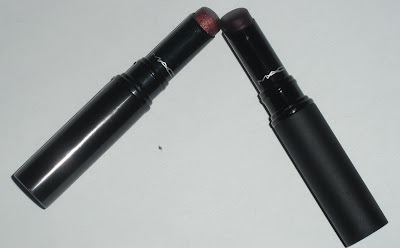 Just as I thought, I love Bing by MAC, it is the perfect Fall shade. It is a beautiful deep wine and it sells for $14.50 per tube. I also purchased my first slimshine which is FABULOUS! Why is this the first time slimshine by MAC is in my life? I purchased the color "Most Wanted" which is described on the MAC site as an "intense purplish red with metallic golden shimmer (Frost)" also priced at $14.50. 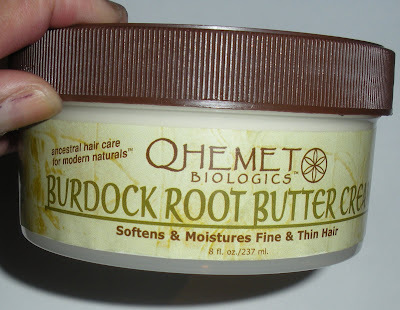 I also want to bring a great product to your attention, the Burdock Root Butter Cream by Qhemet biologics. It is designed to moisturize and soften your hair. While it is targeted for those with fine or thin hair, I find this product to be perfect for those with thick hair. It does not weigh my hair down at all and I can still keep my hair blowing in the wind when I have this stuff layered on. This s a great non greasy product if you are looking for one. Priced at $16.00 this product is made ofgreat ingredients like nettle, burdock root, olive oil, MSM sulfur, vitamin E and other treats. The scent is similar to the smell of lemons and something but I can't determine what the other thing is. Have you purchased anything from Qhemet Biologics? Do you have your eye on any lip products. You may have already noticed the purple is a hot color for the Fall season. 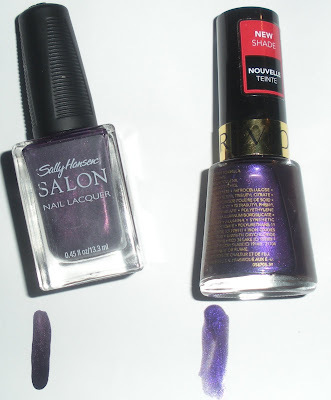 Sally Hansen and Revlon decided to jump on those colors by releasing pretty purple polishes. The $5.99 Sally Hansen color is called Plum It (it is just about the color of the skin on a plum), and I think it is a pretty color, but when I apply two coats it is almost too dark so it doesn't really look purple. The new Revlon shade is Primal Purple. You can click on the pic for a better view. 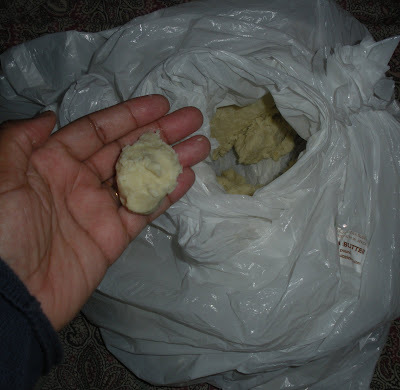 In the picture above you are looking at 5 pounds of unrefined soft shea butter which I have been using as a body moisturizer and I have used it in my pre poo a few times with good results. Shea butter can be used on the hair to prevent it from becoming dry and it is believed that the butter will not clog your pores. I will begin to whip the shea butter up with some of my pure 100% Aloe Vera Oil and other ingredients to see what I come up with. What colors will you wear this season? Have you put together any new concoctions recently? The brains behind Tarte would have had me laughing hysterically if the joke had not been on me! If someone else has tried this or is planning on making this purchase please let me know. I am curious to see other reactions to this product. Who doesn't want soft skin? It think that is something every woman desires and tries to maintain, so we purchase lotions and scrubs in an attempt to keep our skin supple. I was overjoyed when I saw a $3.99 pacakge of body polish which not only promised the silky skin I love but it also promoted its all natural paraben free ingredients. Well well well here we go again with another all natural product that just fails to deliver. I found this scrub to lack grit, there was nothing behind those salt grains, it is as if the entire product melted in my hands instead of scrubbing down my legs. No synthetic fragrances were used so all you really smell was the minty natural ingredients which was less than enjoyable for me. I would never buy this scrub again I would much rather make my own. This body polish is destined for the SKIP IT files. While cruising through Whole Foods yesterday I came across the Giovanni Raspberry Winter body wash. It is an all natural 10.5 oz deliciously scented body wash that sells for $9.99 so I had to get it. I can not stop sniffing this body wash it is just yummy, yet the scent is not too strong so you shouldn’t feel overwhelmed. I would get this product again 100%. I did not want to do another hair post since I have already done about two this week but I washed my hair last night with products I had never used before and I am stunned by the results. My Honey Child is a company that produces natural products, I mean it is so natural that after opening and using the Honey Hair Mask the directions instruct you to refrigerate the product! I don’t know about you but I have never had to refrigerate my hair products, sounds extra natural to me and I LOVE it. Im getting ahead of myself so let me start from the beginning- I first used an Orange Peel powder that my sister had given me for my hair. I am not a fan of multi purpose products and when I saw that this natural peel powder can be used as a facial mask and a hair treatment I was skeptical, but I went ahead and used it anyway. The box stated that the orange peel powder, which can be mixed with water or a conditioner (similar to the hibiscus video I did a few days ago)will make your hair silky, manageable and shiny. I mixed the powder which is an icky (technical term) shade of brown with a little cheap conditioner and the scent of oranges drifted straight up my nose- delightful. I applied what looked like human waste to my hair ( sorry for being so descriptive) and and covered my head with a shower cap. When it was time to remove the shower cap my hair was a little stiff so I was a bit worried. 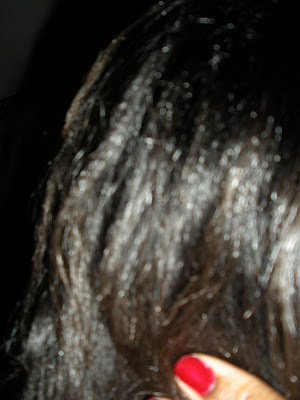 As soon as the water hit my tresses, each hair transformed into a strand of silk it really was super soft. You can purchase this vitamin C enriched powder online for about $7.00 per pound or smaller portions in health food stores for a few dollars less. Pure orange peel powder can also be taken internally and because it is enriched with vitamin C there are many health benefits. 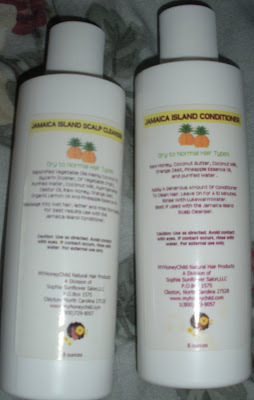 Next I used for the first time My honey Child Jamaica Island Cleanser($10.00) which is a sulfate and paraben free shampoo and I loved the smell. 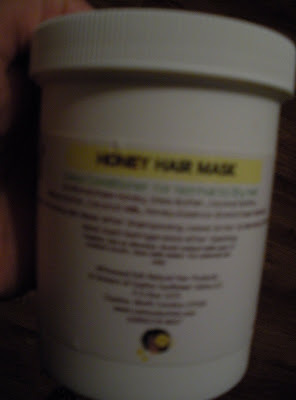 I then used the Honey Child Honey Hair Mask ($10.00) which sat on my hair for 30 minutes as instructed. After washing that out I used the My Honey Child Jamaica Island Conditioner($10.00) and allowed it to sit on my hair for 10 minutes. When all of that was said and done I could already smell how wonderfully my hair was scented but I had no idea what it would look like in the morning. Of course I air dried my hair in rollers and after removing them this morning I can report that my hair is SHINY (you all know I love that) bouncy and it smells so good. Have you used any My Honey Child products, orange peel power or Giovanni products that you love? Let me here from you on this lovely Friday people. Oh and don't forget that Tyler Perry's new movie The Family that Preys is in theaters TODAY. I know I will be watching! *UPDATE* I know I'm late but I will post my Fashion Week experience next week. At this point you know how much I appreciate products with natural ingredients, however they don't all give me the fantastic results that I want. 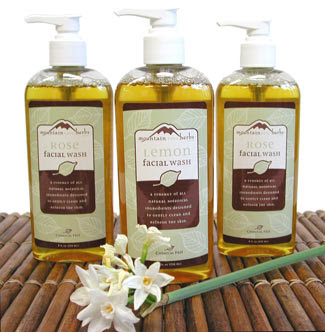 Recently I started using the Mountain Rose Herbs Rose Facial Wash. It is a chemically free facial wash that includes rose water (which I love to use on my face as an astringent), and variousl oils such as coconut, olive, jojoba. The list continues withrosemary extracts and grapefruit seed extract, all of which makes me a very happy lady just reading all of those ingredients. The soap is the consistency of water, it is very loose which isn't necessarily a bad thing. The problem is that after using this product my face feels like it almost has a a film over it, but the wierd part is that my face actually squeeked, it was squeeky clean. Although it looked clean when I looked in the mirror it looks like I wiped vaseline off of my face and left a little behind. Very Strange INDEED. This product also doubles as a body wash. The cost is $10.50 from mountain rose herbs.com (which is also where you can get that hibiscus powder that I mentioned yesterday). This post will answer the questions that I have received regarding Ayurveda hair products. Check out my experience. Have you ever used Ayurveda hair treatments? Are you willing to give this natural route a try? 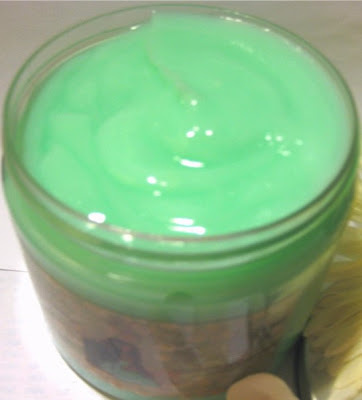 You already saw my first attempt at creating an avocado hair treatment, so you can imagine my excitement when I discovered an avocado based hair conditioner from shescentit.com. This is a pretty loose conditioner, not nearly as thick as conditioners that I normally use but it works really well. The scent is sweet although I can’t specifically identify that fragrance. It is designed to moisturize over processed, dry frizzy hair. While I would not describe my hair as frizzy or over processed it is dry so I was eager to try the product. I feel because of the loose consistency I use more than I should, I am already heavy handed with product and this just allowed me to easily scoop more into my hand as I layered it on. My hair was lacked shine when it was all said and done but it had a great scent to it and it held my curls like you would not believe. My hair was super bouncy days after using that conditioner and my hair didn’t feel like hay. I would purchase this conditioner again if it didn’t include parabens but it does…sigh. This simply means that I will use the Banana Brule conditioner instead of the avocado conditioner. Check out some of the other ingredients: Avocado Oil, Vitamin E, Grape seed oil, Castor Oil, Glycerin, cetyl alcohol, Coconut oil, citric acid, Germaben, Aqua, Stearalkonium Chloride (plant derived), phosphoric acid, fragrance, color. Today will be another day with a late post. Love, Patience and Serenity, are the first three words that start off the ingredients list for the OHM Hydrating Hair Milk. The brains behind this line like to remind users that this is not just another natural beauty line, but one that is made carefully with love. Although they feature a natural body line, I just had to try the hydrating hair milk for my hair. The ingredients are wonderful and I have a special place in my heart for natural beauty products that actually work! This hydrating milk is supposed to untangle your hair is it hydrates every strand. Although it seems to be marketed toward naturals, I am relaxed and I find that this product still works. I simply needed to work the product into my hair to avoid that dreaded crunchy feel. I used it to detangle, and before my rollerset and my hair looked great. The consistency of the product is a little thicker than water so it will not water down your hair. While I can not report any shine from this product I must say that it is moisturizing. I would purchase this product again while it is on sale for $14.99 from goingohm.com (regularly priced at $20.00). I should also mention that it smells a little like soy milk. Any new products on the market catch your eye? Love, Patience and Serenity. Organic Aloe Vera Juice, Olive Oil, Hazelnut Oil, Distilled Water, Natural Thickener, Botanical complex-Mentha piperita (Pepperment) Leaf Extract (and) Yucca Leaf Extract (and) Equisetum arvense (Horsetail) Leaf Extract (and) Urtica dioica (Nettle) Leaf Extract (and) Melissa officinalis (Melissa) Leaf Extract, Rosemary-Preservative and Fragrance Blend. 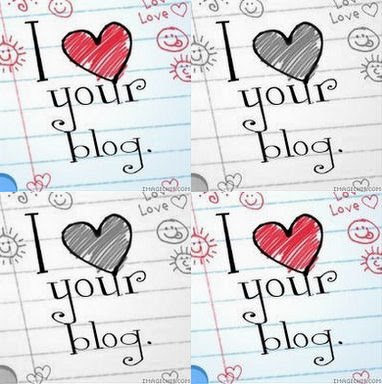 Yummy 411, makeup extraordinaire has nominated me for the I Love Your Blog award and I am very appreciative. If you have not checked out Yummy please do, she has several fierce series and she is a makeup pro. She will also be attending NY Fashion week for the first time so I know she will give us all the inside scoop. An additional nomination has come in from Sophiebutterscotch who is a wonderful blogger from across the pond. I was also nominated by Just me who has AMAZING youtube videos, please check her out. 1) TravelDiva, the legal eagle who has her eye on the law and who is newly engaged. CONGRATS again TD. You always include pictures and so kindly invite others into your world. Everyone, you have to check out the pics and the story of how she met her love awwww. 2)Illustion Cosmetics The real Dynamic Duo would have to be Denise and Janice, twin sisters and celebrity makeup artists who so generously offer their makeup wisdom on their blog. They also started their own makeup company Illusions Cosmetics. I did a post on them a while back-great products. 3)RenRen who has some of the best, easy to follow make up posts on youtube. She is off on vacation now but when she returns I know she will continue to wow us with the great looks that she can put together. 4)Ms. Money Savvy is on the ball when it comes to keeping our money in our pockets instead of out the window. Are you looking for tips on having a great financial future, if so please check out her blog. 5)Calming Corners will discuss everything from beauty to relaxation. Even the smooth melody playing the background can take you away, if you are ready to unwind check out CC. 6)Theraputic Musings talks about The Count (read the blog to find out who he is) and her personal experiences, you can just feel her passion in each post. 7) Fitness Goddess who else is out there trying to remind everyone about getting and remaining in shape? I mean her blog is great and there is so much important health related information. YAY for fitness. Here are the rules:1. The nominated is allowed to put this picture on their blogs.2. Link to the person who hearted you.3. Nominate at least 7 other people and link to them.4. Leave a message on those people's blog to make them aware that they're nominated. I know I promised two posts today and I HATE to not be a woman of my word so I sincerely hope to get that done tonight. This has been an insane week. Sorry eveyone but thanks for your support. I'm sorry but I must post this evening or I will post twice for tomorrow. Before I jump into the product of the day, I have to tell you that I could not resist strolling into Sephora yesterday to check out the new 4 day eye stain by Tart. It is a product that looks like your typical mascara wand but the liquid inside the tube is more like a stain that you would use on your cheeks or lips. The jet black stain is supposed to remain on your lashes for a full 4 days. Although it is only $18 I decided not to buy it (at least not yesterday) because I am a little leery of a product that will remain on my face for 4 full days. I wash my face daily so ummm why would that product not remove itself from my lashes? I'm still on the fence about this product so we will see how it goes. For today I will speak briefly about a product that promises to add volume to your hair, the Aveda Pure AbundanceVolumizing shampoo and conditioner. My hair has always been pretty thick but I wanted to see the power of Aveda’s volumizing clay conditioner and shampoo which is designed to make hair appear thicker. Without a doubt this product made my hair fuller, in fact it was a bit too thick. I was about 9 weeks post relaxer when I used it ( I know I’m a genius) so I was already experiencing shrinkage and added volume but it made it even thicker. For people who have thinner hair I think this would be a good product to try if you are looking for more volume but for those with already thick hair this may not be for you unless you really want extreme volume. So I think it works in that regard but I wouldn’t buy it again because I don’t need it and I wasn’t crazy about the shampoo. It almost felt like my hair had that “too clean” feeling. While the shampoo is made from honey, marshmallow, jasmine, organic peppermint and other natural ingredients it had a sulfate in it. I don’t have the bottle by my side right now but I remember looking at the bottle and seeing a sulfate included in the mix. I will update this post when I am by the bottle again but I believe it stated that the sulfate was an extract from coconuts. However, I think my hair does not like any sulfates because it totally feels different when sulfates are in the mix. I will check the bottle later and investigate that sulfate. The conditioner on the other hand was like a clay that you squeeze from the tube and apply to your hair and that product was fine by me. 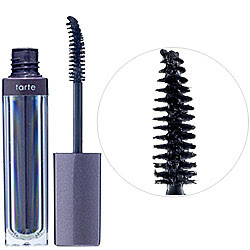 Both bottles cost $15.00 each.Are you going to try the Tarte eye lash stain? How do you add volume to your hair? I don’t like bananas yet I love it when my hair smells like banana pudding. 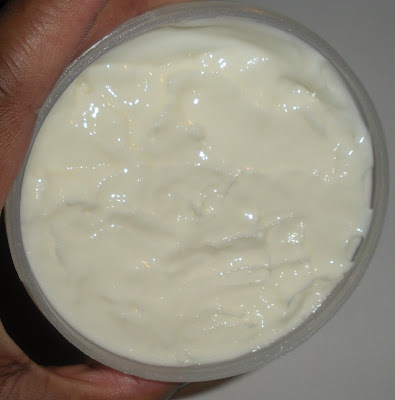 OK the scent is not as strong as banana pudding but it is pretty close after I use the $18.00 Banana Brulee Moisturizing Deep Conditioner by Shescentit. This product is for dry/ damaged hair and it is supposed to give your hair the luster you have been looking for. I really like this product even though it doesn’t give me the level of shine that I know my hair can achieve. After using this product my hair is soft, bouncy and well scented. I will continue to use this creamy conditioner in the future especially since it is a natural product. It is paraben free, silicone free, and made with real bananas! Have you tried anything from this company? Do you use any natural fruits as a part of your beauty regimen? August 3rd began my product probation period and it ended Aug. 31st at 12:00am. Here is a list of the items that I would have purchased had I not been on probation. 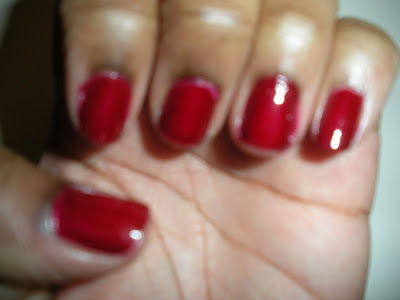 Sally Hansen nail polish (on sale ) 2.99 I probably would have gotten two. I think I really want that new Tarte eye product $18 but something that will remain on my eyes for 4 days scares me so I may not get it but let’s add it in anyway. 1 Revlon makeup product becuase I get $3.00 off at CVS but I wont get that $8.00 product mentioned above, I will set my limit at $5.00 after the discount. The difference between my first list and the revised list is… drum roll please, 440.97. I kid you not, there were many more products on my " I need this list", but I think you get the general ideal from the list above. I had a problem with buying what I did not need but I would like to think that I have taken huge leaps in overcoming the urge to splurge. I would much rather see that money in savings than to see it leave my wallet. Oh and I mentioned in a previous post that I was also cutting back on my food intake which basically translated to no more eating out or buying junk food and what do you think happened? Well I found myself wanting to spend money on something, anything then somehow finding the will to say NO. I was really surprised at myself because believe it or not I am actually a saver but this little process helped me to appreciate how much more I could have been saving over the years if I had cut out unnecessary items. When I went through my product areas in my house I found items still in its original wrapping, never opened. How sad is that? I learned that I can make due with what I have, especially if what I have has never been opened. Yes, probation forced me to open some of the products I had never used before. I also learned that I purchase products on a whim without thinking about what I could be saving if I don’t buy something I really don’t need. I also learned the importance of moderation, there is no need to buy the store just the necessary items with a few splurges sprinkled in every now and then. And I thought about the power of coupons, how much one can save just by clipping a few coupons is amazing. Shortly after the MAC Cult of Cherry launch I received an email offering free shipping on any purchase made on that day. This was such an eye opener because I realized that if I had not been on probation I would have made my MAC purchase online, paying for shipping when just a little while after I could have eliminated shipping costs. I know shipping may seem like a small thing but it all adds up. What is the urgency why would I have to get the Cult of Cherry items as soon as they launched? The answer is I didnt have to purchase MAC items immediately, my lips were not going anywhere and the same goes for the MAC line. After seeing the collection in person I realized that Bing is the only color I really wanted but if I had made the online purchase after the line launched I am certain I would have bought several more items. Originally, when I started this process I thought it would be a cute little experiment, one that would also give me an opportunity to catch up on my posts, but it became much more than that. I will continue on this path by making better product related purchases, making sure that I have full control over my money and not allow the products to control my cash flow. What do you spend your extra money on? Do you need to cut back on your spending? If so what is your plan? Any of you thinking of starting some form of probation?